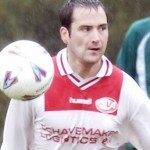 Aaron Goddard took over as captain of the side in the clubs first season midpoint 2001-2002. Goddard loves his football and has proved to be one of the most committed players who has signed leading the squad to promotion in its first year. Goddard proved his versatility during Manic’s injury crisis by filling a number of roles in the Manics’ first season, and then went on to start 02-03 season as first choice at right wing for the Manics in August 2002. Handing the captains armband to Gary Sarney in 2002-2003, Aaron continued to be vice-captain to the side, and then in his 2003-2004 season Goddard recieved ‘Manics Runners-up Managers Player 2003-2004′. 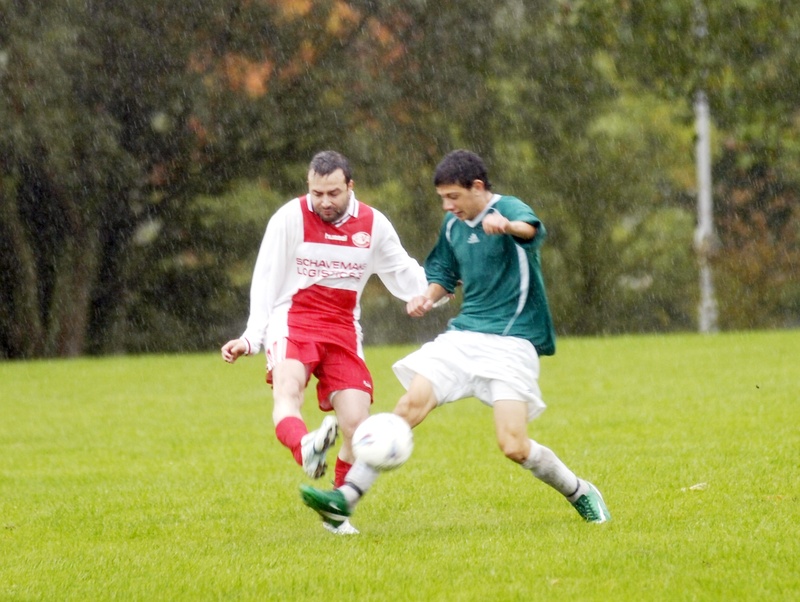 In his 2004-2005 season, Aaron Goddard played a large part in the club winning Division One. Where he lacked goals, Goddard proved a difficult opponent in midfield. He continued to be the voice in the heart of the team, and a real battler for the ball in the air and on the ground, finally clinching his well deserved goal of the season in the game that would win the league for BMFC versus Crown Wood Wanderers FC. After scoring his first goal of his season in the final game of the season in 2005, Aaron Goddard was then the opening goal scorer in his 2005-2006 season against the Manor & Winkfield for the club. 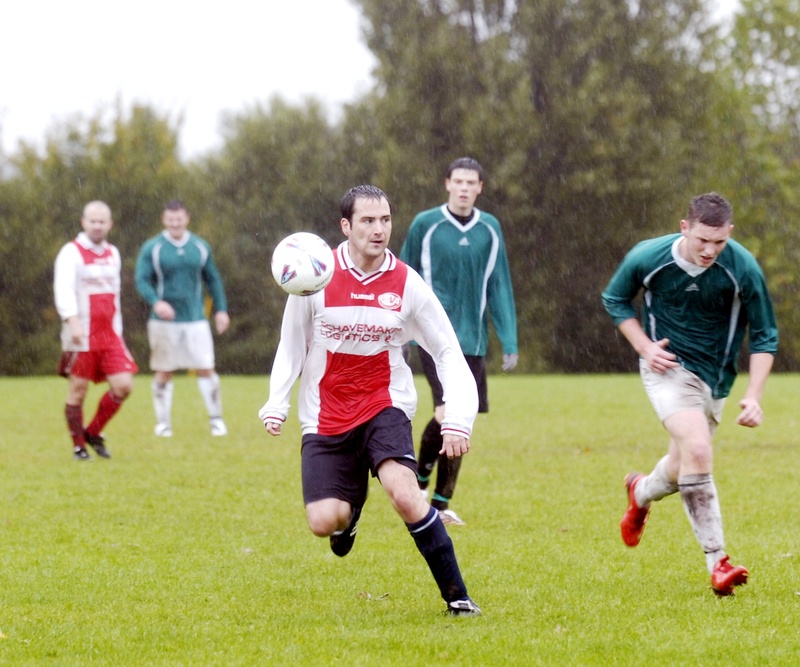 Aaron was unfortunate to sustain a knee injury towards the end of the same season, but fans were happy to hear he again looked fit for the start of the clubs 2006-2007 season. Team-mates feel at home with his ‘iron man’ presence on the field. There’s no doubt this tough tackling player works hard for the squad, not just in the air, but on the deck too.